How to Add Layers of Challenge to Keep Players in Flow – What's in a Game? One of the best ways to keep difficulty balanced for different skill levels between players is Challenge Layering. Challenge Layering is when games have multiple goals of different difficulty at a given time that players can choose to complete. If they become bored or frustrated, the player can make the game harder or easier for themselves by changing their goals (consciously or not). Challenge Layering is a way of having the player choose their own difficulty in a more natural way resulting in staying in their personal flow channel. In New Super Mario Wii – the standard goal of a level is to reach the flag at the end of a level to unlock the next level. Novice players will only be playing the level to get to the end as they begin the game. Once they become comfortable, however, they will notice that there are big star coins along the way that are hard to get. Eventually, they realize there are 3 in every level, and if they find the primary goal of a level too easy, they will naturally hunt out these bonus coins as they go. If they get stuck on a level, the coins also act as an extra goal they can do in the game – go back and find all the coins in the levels they already played. Having multiple goals helps players stay in the game. If they get frustrated or bored (out of flow) with one goal, they can try going after a different goal. 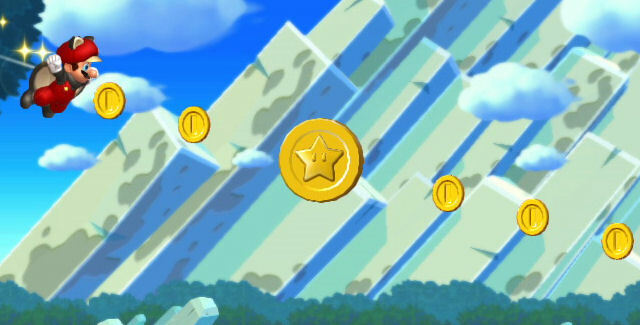 In the case of the Mario star coins, going back to old levels to collect these star coins often helps players improve their skill so that when they come back to the level they got stuck on, they will be a little bit better and able to overcome the challenges in the level. Several mobile games follow this strategy. You earn a certain number of stars based on how well you did. In Brick Breaker Hero, it’s based on score. To complete the level you have to complete an objective, but to get three stars, you must get a certain number of points (usually determined by how many lives you lost). I didn’t realize this as I was playing until a few levels in. Once I realized this, I started caring about how many stars I got. This bonus goal helped me improve my skill level while consciously choosing to make the game harder for myself. Turbo Kids is another mobile game that follows a similar strategy. To unlock the next level, you need to get at least 5th place in a race. Additionally, you get stars for placing at least 5th, at least 3rd, and first place. You can use these stars to upgrade your character in various ways. I found that when I got stuck on a race, I would go back to previous levels and earn more stars. This would help me improve my racing skill and my character’s abilities so that when I came back to the race I got stuck on, I would be more adept to win. It’s because of this mechanic that this is one of the few mobile games I’ve played all the levels of. In 3D platformers such as Banjo-Kazooie and Mario 64, the player must collect objects (Jiggys in Banjo-Kazooie and Stars in Mario 64) and use these objects to progress through the game. You don’t need to collect everything to continue, though. Often the gates require you to collect a percentage of these objects to continue. If you find it hard to get a specific jiggy, you can move on to another one and try that challenge instead, allowing you to progress further in the game. As you get stuck in later levels, you can go back and try the ones that were difficult before. With your new-found skills, you will probably be able to conquer these challenges and continue. This allows players to attempt challenges and find ones within their flow zone themselves. One of the reasons why I like Banjo-Kazooie more than Mario 64 is because you don’t have to exit the world to attempt a different challenge in the world. This makes it easier to quit a challenge if you are getting frustrated and move on to another challenge. Additionally, Mario 64 tends to require you to get one star before letting you attempt other stars in the level. Mario Odyssey abandons this concept going for more of Banjo-Kazooie’s approach, which serves the game very well. In FFX, the battle system, progression system, and optional content use challenge layering a lot. Overkill, in particular, is worth mentioning here because it’s a mechanic present in every single battle. Instead of adding new objects or content to every single battle, they created a mechanic that would automatically add two outcomes to shoot for throughout the whole game. Mario Odyssey’s simple but intricate jumping mechanic is another example of a mechanic that can add challenge layering throughout the game. Novice players won’t be able to pull off complicated jumps, but a skilled player replaying the game will be able to speed through the game by combining Cappy, pounding, and jumping. This forms an implicit goal in the player’s mind to get to the next Power Moon as quickly and efficiently as possible. These jumps are a great example of Lenticular Design because novice players won’t even be able to realize they can make some of these crazy jumps, so they don’t have to know they are missing out on anything.